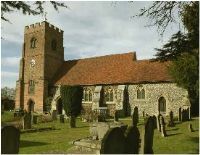 St Mary's church provides an opportunity for people of all ages to worship in a traditional but friendly atmosphere. We use the 1662 Book of Common Prayer at our Morning Prayer and Communion services and take our readings from the King James version of the Bible. For details about our church activities for younger children and families - click here.